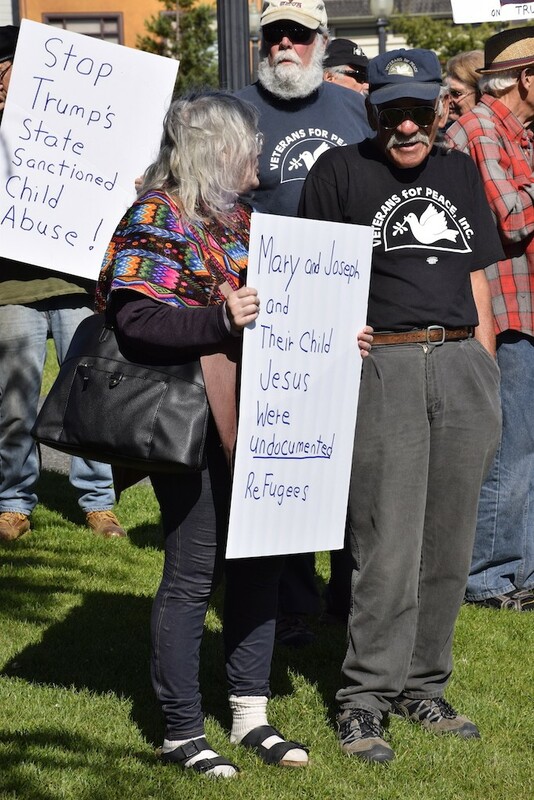 Several dozen people gathered this evening on the southwest corner of the Arcata Plaza to protest U.S. immigration policies that have left some 2,000 children separated from their families. While President Donald Trump signed an executive order this week stopping the separations — after previously insisting only Congress could take the action — the thousands of children remain housed away from their parents and it's unclear when they will be reunited. On the plaza this evening, one man held a sign reading, "I Do Care, Do You?" a reference to the jacket First Lady Melania Trump wore to visit a child detention center in Texas yesterday, which had the all-caps slogan, "I REALLY DON"T CARE, DO U?" scrawled across it's back. 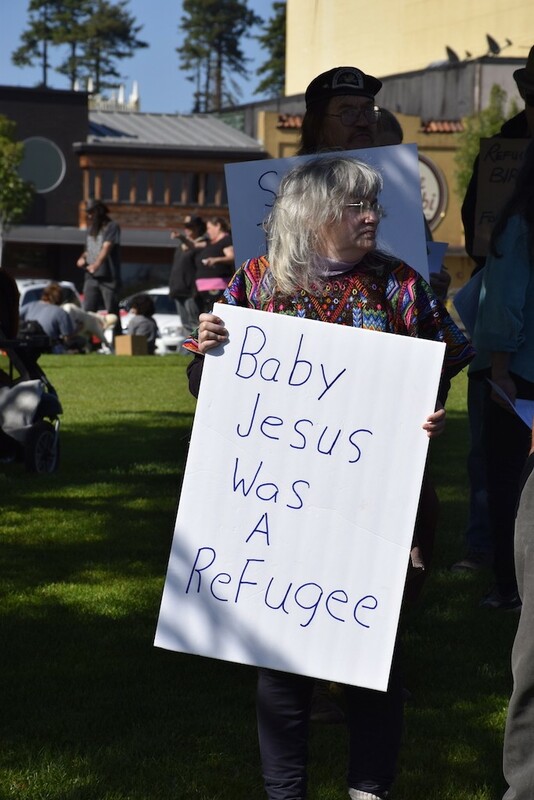 Others carried signs reading "Baby Jesus was a refugee," and "Stop Trump's State Sanctioned Child Abuse." 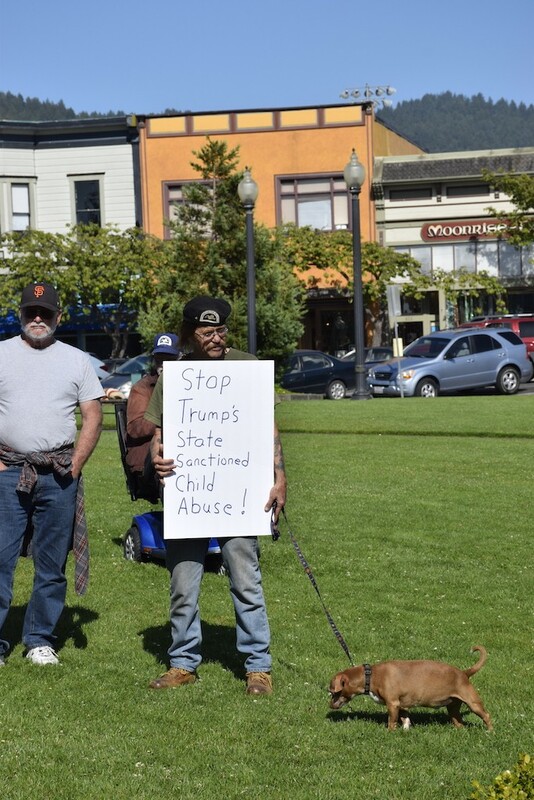 Another sign read simply "shame," with an upside down American flag, code for distress. 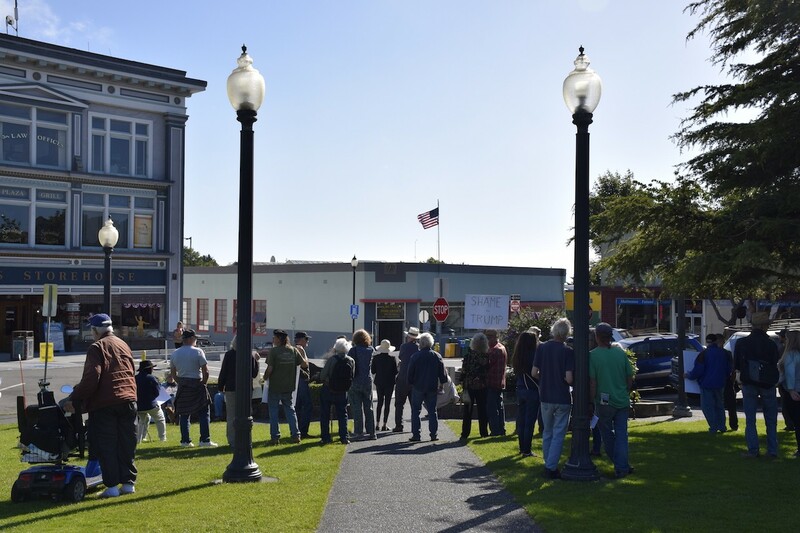 In addition to this evening's protest and vigil, local community members are organizing another — a "Families Belong Together" rally — for 10 a.m. on June 30 in Old Town Eureka. 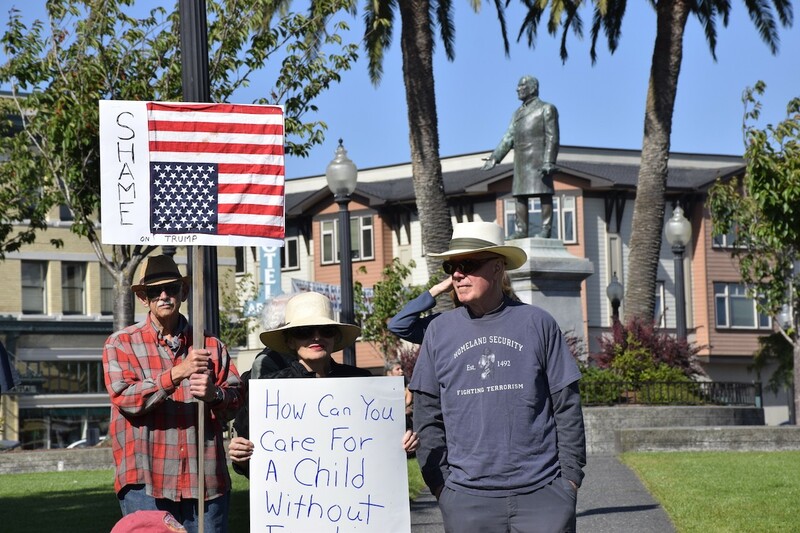 Additionally, Project Hugs — a community effort to ease the pain and confusion of the separated and detained children — is collecting lightly used stuffed animals in a donation bin at Arcata City Hall through June 29 with plans to send the stuffies to detention centers. 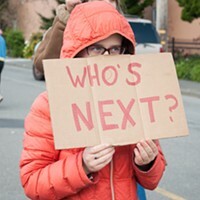 See additional photos from the plaza protest copied below.